Organize olk14messages and olk15messages according to -from, subject, to, sent, size etc. By using the OLK14message Converter tool you can directly browse the Folder containing the huge collection of olk14messages. 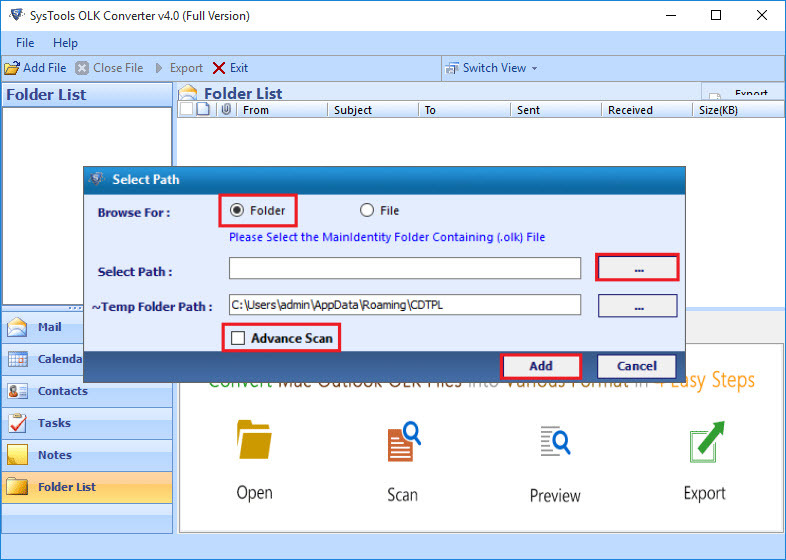 OLK Converter automatically scans the bulk olk14messages file from the folder. 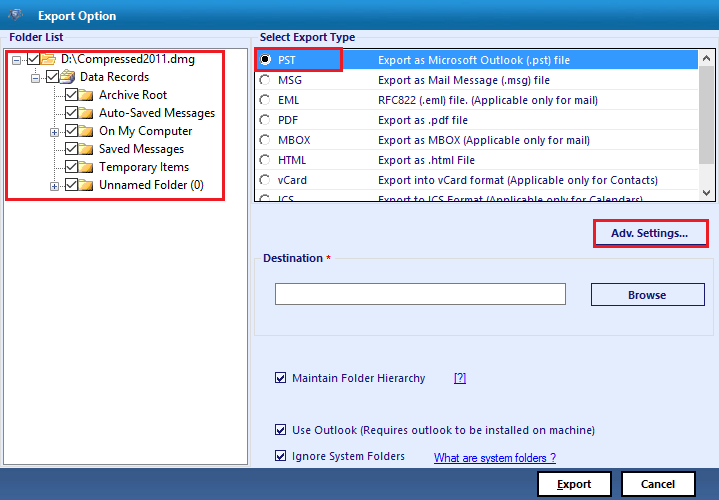 You can easily save bulk olk14messages in EML & MSG file format which can easily be preview in the multiple email platforms such as Thunderbird, MS Outlook etc. OLK15Message converter software allows you to save bulk OLK15Message to popular file format such as PDF or HTML web-page. after conversion to HTML file format, one can easily view & access OLK15Messages in any browser such as Mozilla Firefox, Google Chrome or Internet Explorer. The resultant PDF can also be viewed in any PDF editor program. OLK File converter software facilitates to export OLK email, calendars, notes, to-do list to MBOX file format. 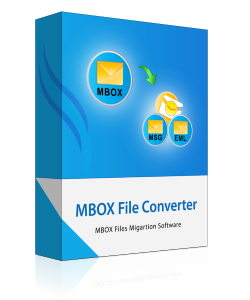 With the conversion of OLK to MBOX, user has wide range of choices to view content of MBOX file in email clients such as Thunderbird, Apple Mail, SeaMonkey etc. 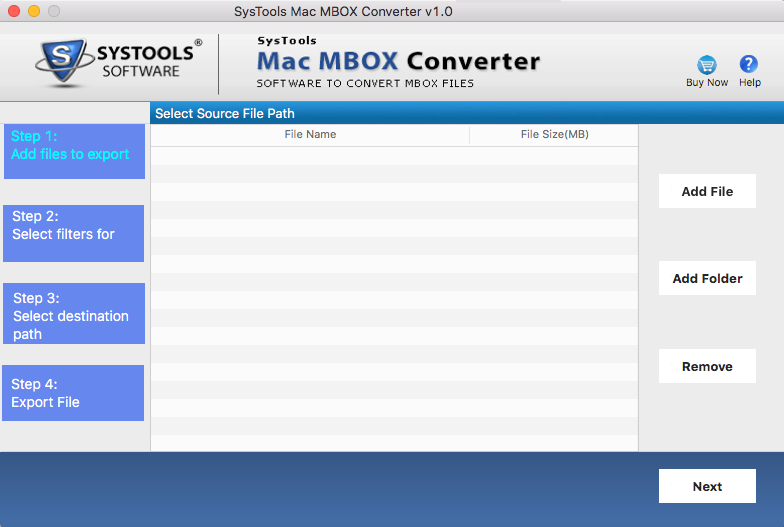 the software do not lose any data while exporting OLK15Messages to MBOX format. 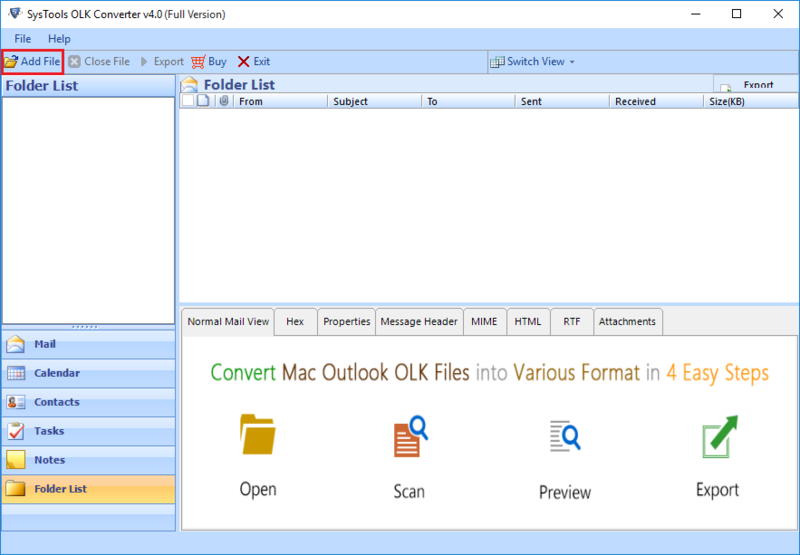 OLK Converter tool allows you to export selective olk14messages file to PST, EML & MSG. You can manually select the desired olk14message by check or uncheck the option. For the automatic selection of the olk14messages file, you can use the Date Filter option which allows you to select the olk14messages from specific time period such as From 14 JAN 2016 to 14 JAN 2017. OLK File Converter automatically selects the olk15messages and convert it to desired file format. You can re-arrange or organize your OLK14 Message using multiple attributes. For sorting your olk14messages according to subject wise then you have to just click on the subject tab. OLK14messages listed sequentially as per subject. Similarly, You can organize your OLK14Messages or OLK15Messages using attributes such as To, From, Sent, Received and Size wise also. OLK Converter tool provides the two different category option namely Mail and Calendar. If you want to convert only email associated with the olk14message file to PST, EML, & MSG then you have to select mail option. For calendars, you have to select calendars option. By default OLK Converter Software only convert OLK14Message to PST, EML & MSG. 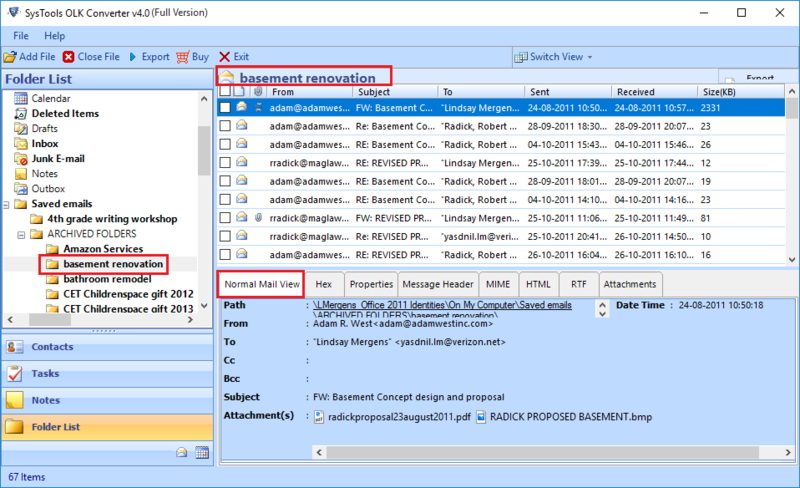 Step 3: Preview OLK14Messages File with attributes such as emails, calendars. 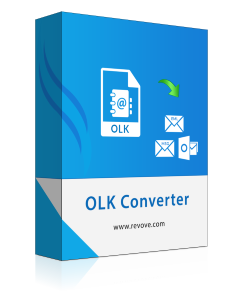 Demo version of OLK Converter software allows converting and saving first 25 emails from OLK15 to PST, EML, MSG, MBOX, PDF or HTML file format. Disk Space: 100 MB of free disck space. Can I use the OLK to PST Converter to convert olk14messages to MSG files? Yes, You can definitely use OLK Converter to Convert OLK14Messages to MSG File format. Apart from olk14messages , OLK Converter convert OLK15Messages to PST, PDF, MBOX, HTML and EML. What is the file size Limitation of OLK to PST Converter Software? The Full Version of OLK14Messages does not impose any limitation on the file size but there are certain restrictions imparted by demo versions on the OLK file size. You can only convert 25 files per folder using demo version of OLK to PST Converter. Compatible with latest Mac OS X Versions i.e. OS X 10.10 or later ones also. OLK file converter facilitates to convert olk14message or olk15message to PST, EML and MSG file formats. 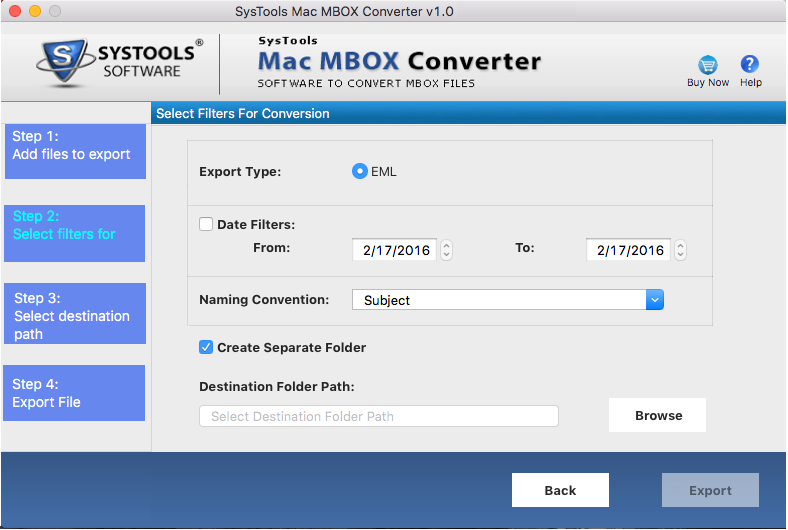 OLK15message converter software allows to convert items like emails, contacts, calendars in case of PST file and only emails in for EML and MSG formats. The original file formatting remains before or after conversion. OLK14Message converter tool allows to perform the bulk migration of olk emails to pst, eml and the msg file format. You can add multiple olk files using add files button to be converted. OLK file converter does not impose any restrictions on the export process. You can browse multiple files at once and convert it to Outlook PST in quick time. OLK to PST Converter provides the functionality to selectively import olk14message via data filter option. This so option so advanced & unique that you only need to select date range i.e. From & To. The software automatically filters the data for you based on date range. Thus, it saves your crucial time and provides extra ease. 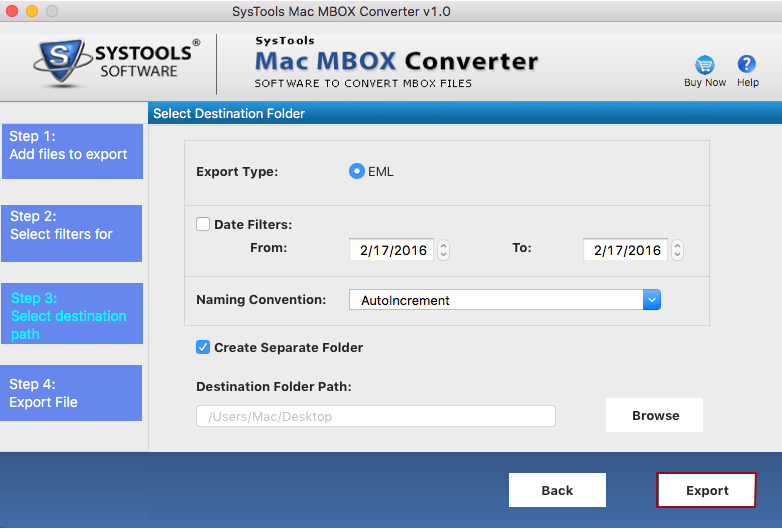 OLK Converter tool provides the functionality to save the olk to eml or msg with desired names via multiple naming convention feature. OLK to MSG Converter software offers to save olk14message to msg with different names such as according to subject, date, From or To etc. By choosing this option you are able to easily distinguish your files from bulk. OLK file converter software ensure to maintain the folder hierarchy of olk14messages intact until the completion of conversion of olk15message to PST, EML and MSG formats. The original formatting of olk files remains unchanged. OLK14message converter does not harm or leaked data. It remains safe and secure. The OLK14Message converter software is enriched with easy to use graphical interface. The software is designed with motive to provide ease to non-technical user as well. 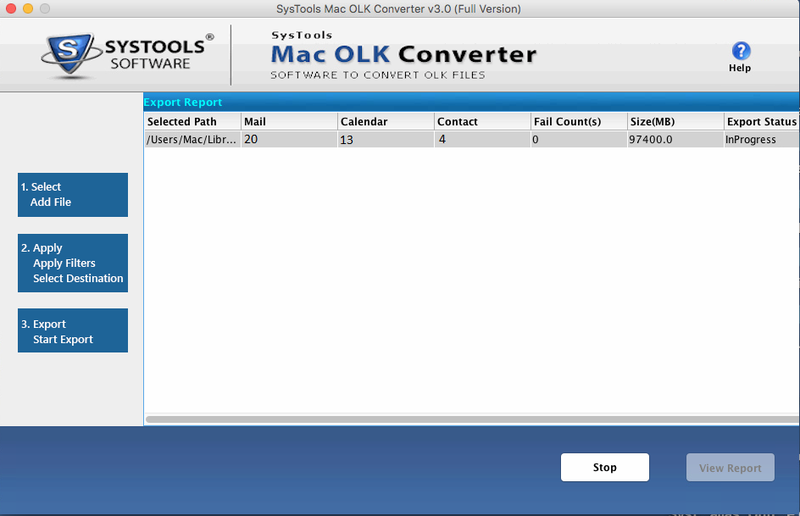 The olk15message converter software supports all the latest versions of Mac OS X i.e. OS X Yosemite Version 10.10.4 & 10.10.5, Mac OS Sierra Version 10.12.3. 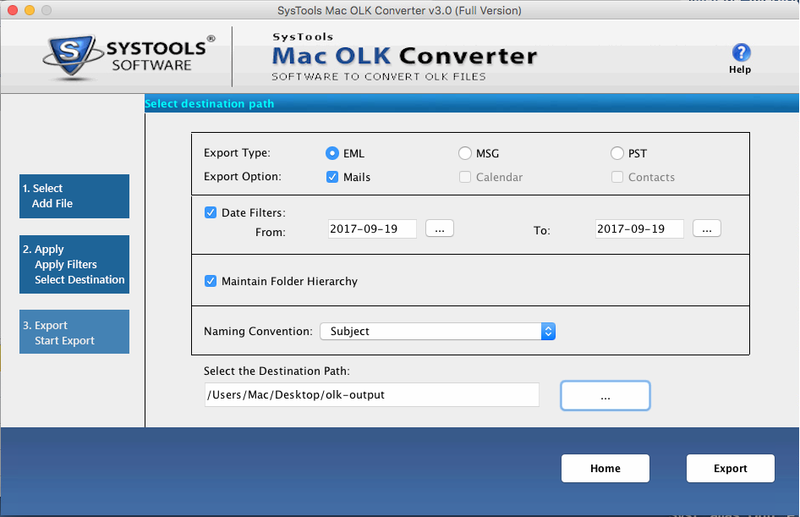 Trial version of MAC OLK File Converter tool Export 25 items from OLK14Messages to PST, EML, MSG formats. 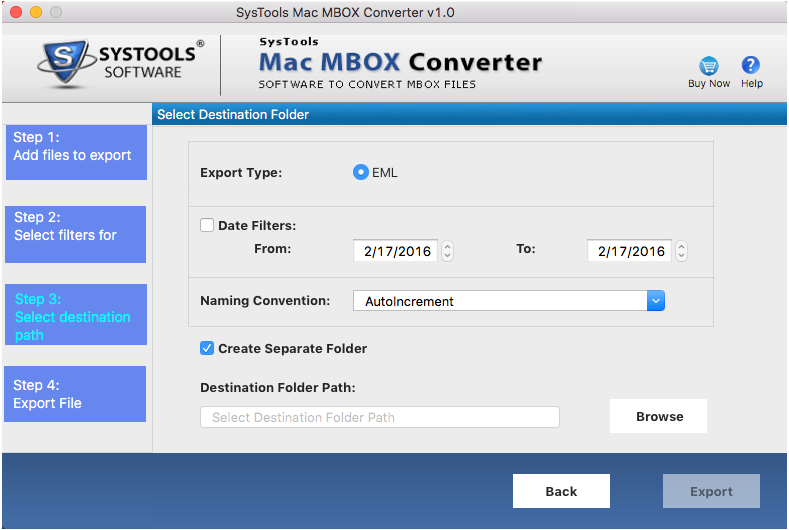 Does the MAC OLK14Messages File Converter tool support MAC OS X 10.10 or its later versions? 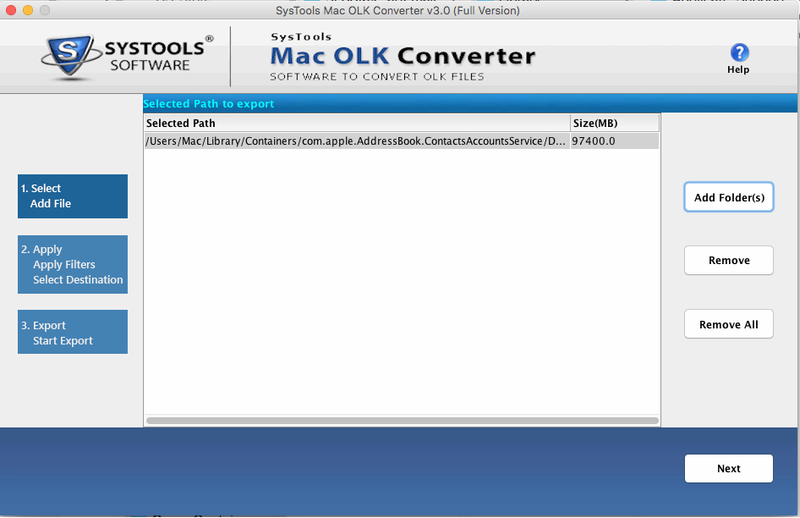 YesThe MAC OLK File Converter supports conversion for MAC OS X 10.10 and later versions also. How to convert olk14messages to pst using olk file converter software? Click on Add folder button select olk file and click next. Does software allows to export olk address book as well to pst format? Yes,with help of olk file converter software you can easily convert olk address book to pst format in quick time. Is there any limitation in using the licensed or full version of OLK converter software ? No, There is no limitation held in using full version of OLK to PST converter software for the purpose of converting olk14message to pst, eml and msg file format. I was unable to view my emails due to mild corruption in my Mac Outlook file. After researching on the I found that I can recover my data from the OLK14Messages file but I failed in to do so. Someone recommended me on technical forums to use OLK Converter. I tried the demo version of OLK14Messages Converter and found it more proficient and enriched with high-quality features. I easily convert OLK14 messages to PST. Thank you very much for Developing Such high-quality tool. I have used OLK to MSG converter for mac to export my olk14messages to msg format. It saves my lots of crucial time by providing date filter which let me to choose selected emails of certain time duration to export to msg format. What an outstanding utility to work with. I would like to recommend it to other Mac users also for fllawless conversion of olk14 messages to pst. One of the best software to export olk14messges to eml file format. The graphical user interface of olk to eml converter software is designed to provide complete automation to the user. Only you have to browse the file from the local storage then after OLK converter itself completes the task for you.